Today's post is part of the linkup hosted by Scarlett from The Trendy Chick! The idea was to post an outfit that had a pattern on it! If you participated, leave a link to your post below! 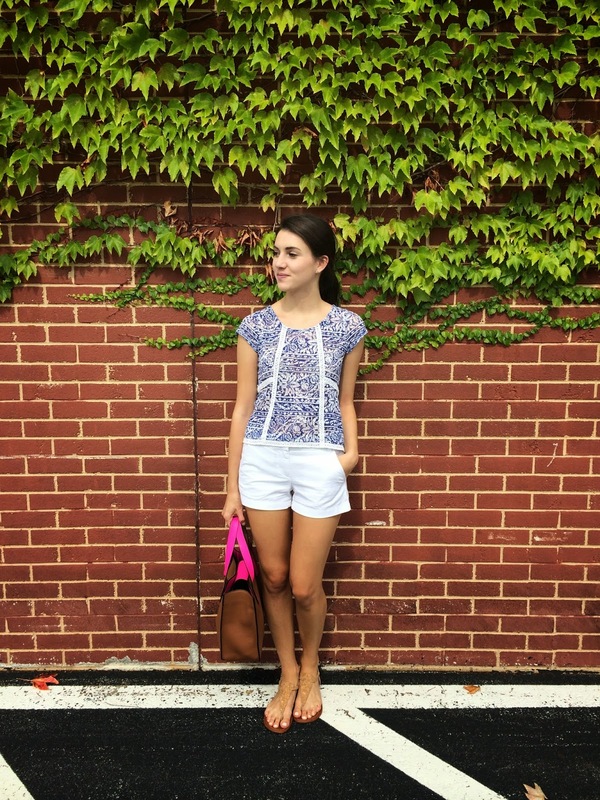 This top from Anthropologie has been one of my favorites for summer! It has a combination of my favorite colors, a cute print, and fun detailing on the back. 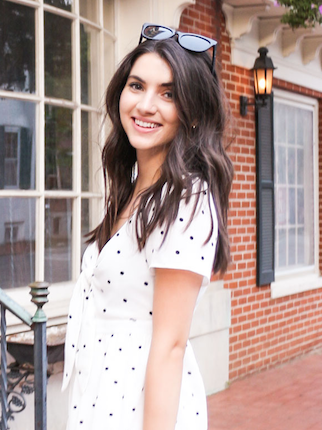 Thank you Anthropologie for making the perfect printed top! At first I had trouble finding a pair of pants to wear it with because of the fact that the top is 'high-low' but after several attempts, I found that simple white chinos were the way to go! I love this because it's casual, easy, and super fun! A simple pair of sandals and my go-to Kate Spade bag finished the look! Did you join the Patter Party Linkup? Leave a link to your post down below! P.s - I'm so close to 1K followers on Instagram so it would mean so much if you checked out my feed and followed:)! Thanks Hunter! It's been one of my favorites this summer!